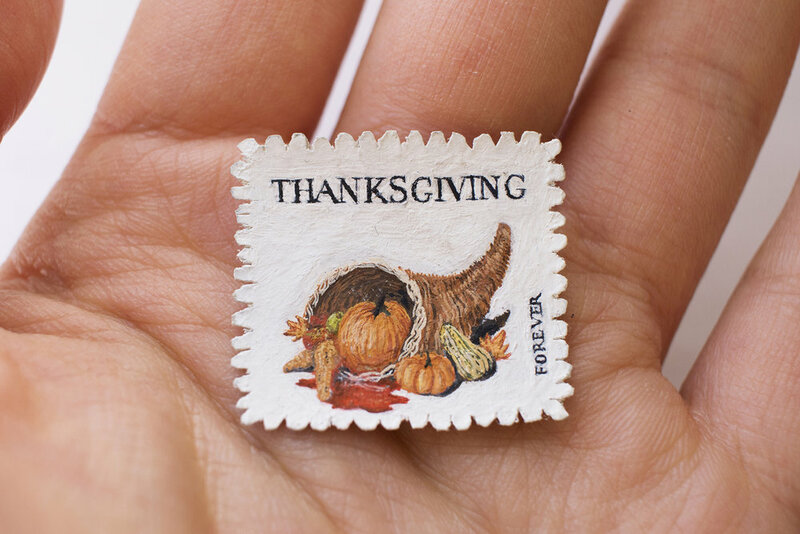 Forever (Thanksgiving). Gouache on paper. 1"x3/4". 2016. Forever (Andrew Jackson). Gouache on paper. 3/4"x1". 2016. 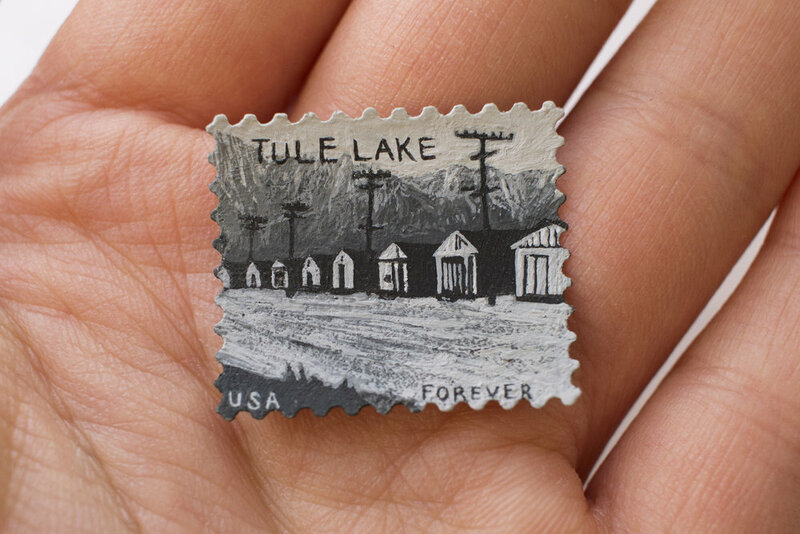 Forever (Tule Lake Internment Camp). Gouache on paper. 1"x3/4". 2016. 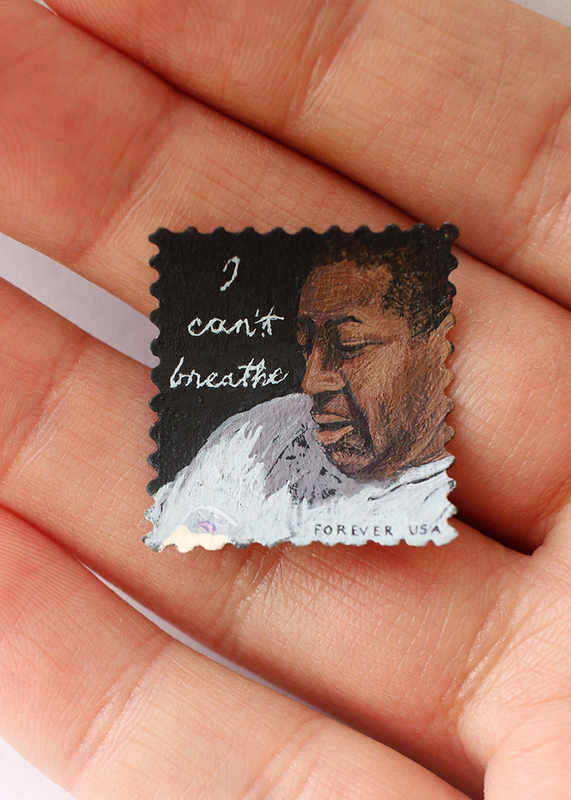 Forever (Eric Garner). Gouache on paper. 3/4"x1". 2016. Forever (We Hold the Rock). Gouache on paper. 1"x3/4". 2016. Forever (Balbir Singh Sodhi). Gouache on paper. 3/4"x1". 2016. Forever (United We Stand). Gouache on paper. 1"x3/4". 2016. Forever (Your Taste of Paradise). Gouache on paper. 1"x3/4". 2016.